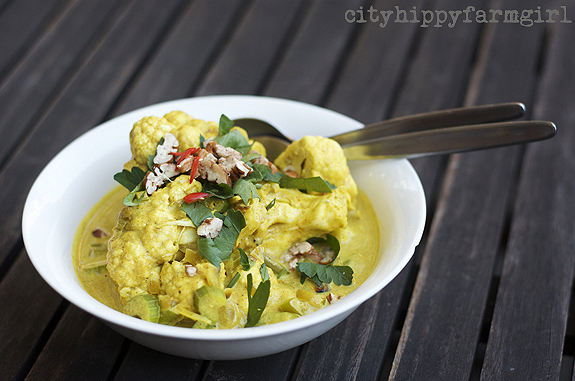 This entry was posted in Connecting with Community, Food Glorious Food, Making, Creating + Frugal Living and tagged budget, cauliflower curry, easy, eat local, Making, Creating + Frugal Living, seasonal, simple, vegan, vegetarian by cityhippyfarmgirl. Bookmark the permalink. I do a very similar dish Brydie, I shall try your version next week. Have a good weekend — it’s the shortest day tomorrow! How can that be so Rose? Really…how?? My eyes go blurry for a month and the speed of the year seems to have escalated. 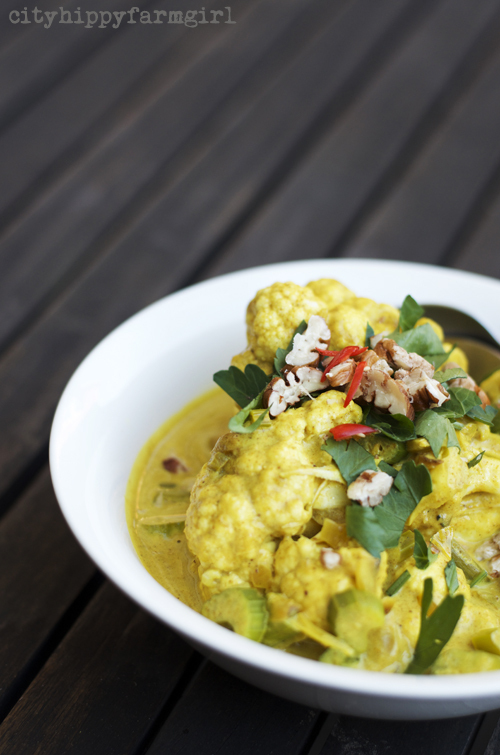 We ate cauli curry for dinner just last night. I feel so happy now that my girls love a good curry too finally. And oh gosh how the old photos on my blog embarrass me. It makes me feel a bit sick when someone tells me they are reading it from front to back. I hope you have a gorgeous weekend lovely. I don’t know Kate. I just had a quick peek at your posts in 2009 and they are still just as cute, your girls modelling your creations…but my, they grew up! coconut milk is a little can coconutty goodness isn’t it. I haven’t used coconut oil for awhile Julie. I have some languishing at the back of the cupboard so I should. I went through a phase of using it in everything and then it just kind of stopped… Do you use it for a lot of cooking? This sounds absolutely delicious. Heart and perfect for winter. Yum. We had cauliflower soup earlier in the week. 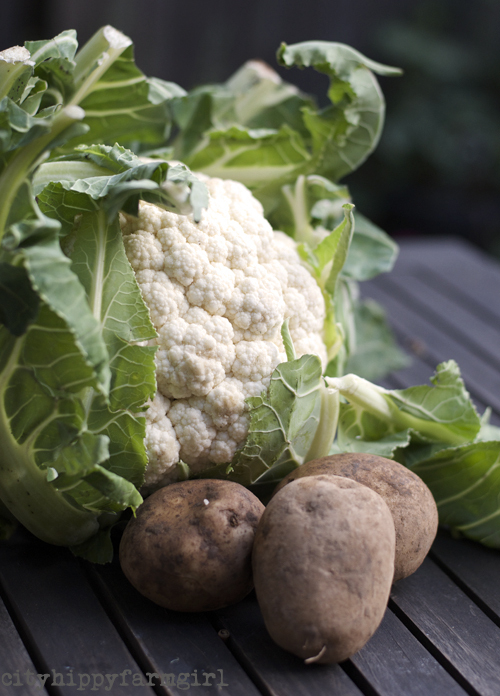 It is such an amazing vegetable for this time of the year. Even though we’re heading for the middle of summer, this looks a good dish to serve. How convenient that I bought a tin of coconut milk yesterday. This sounds really good (and not TOO hot). My tastebuds don’t handle hot well! It looks super yum in both I think! I love how it sounds – think I’ll add some chickpeas and see how that goes. Thanks again! Just perfect Brydie and thank you. I was just thinking of recipes to match the vegetables in the fridge without buying anything for a ‘bring a dish’ winter party tomorrow night. This does sound delicious Brydie, what a perfect dish for winter- yummo! Mmm, looking desperately for a vegetarian allergy friendly recipe online and your blog popped up!! Thanks for my Sunday night dinner, Brydie . Great to hear Linda. Thanks for dropping in.